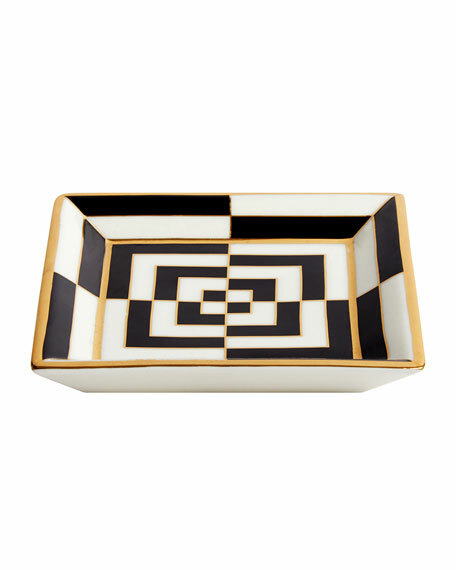 Gilded and Graphic. 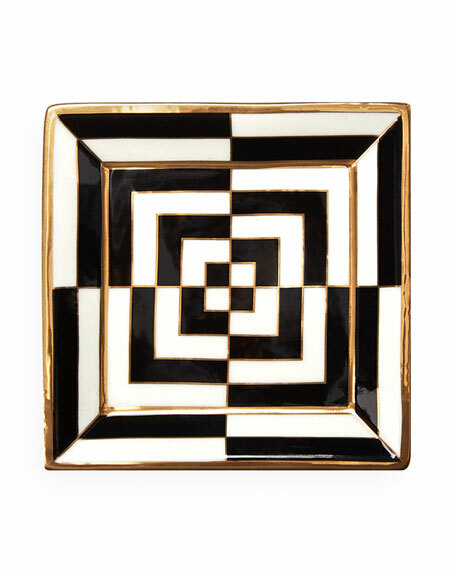 Modernist and mind-bending, our Op Art dishes and catchalls give true graphic gravitas to your tablescape. 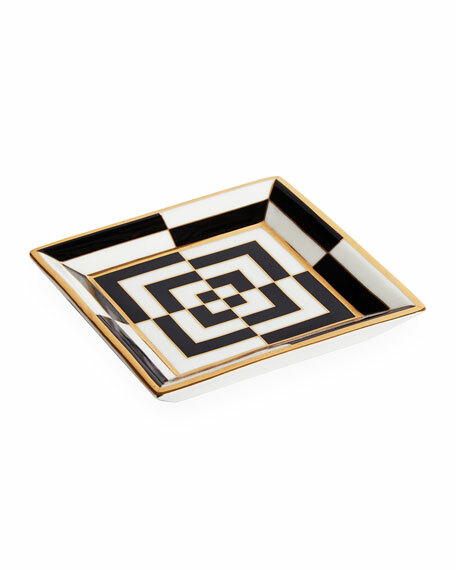 Crafted from high-fired porcelain with solid gold accents and packaged in a nifty gift box, they make a perfect hostess present (or pick-me-up for yourself).